Cool Maker Pottery is the revolutionary way to create with clay! 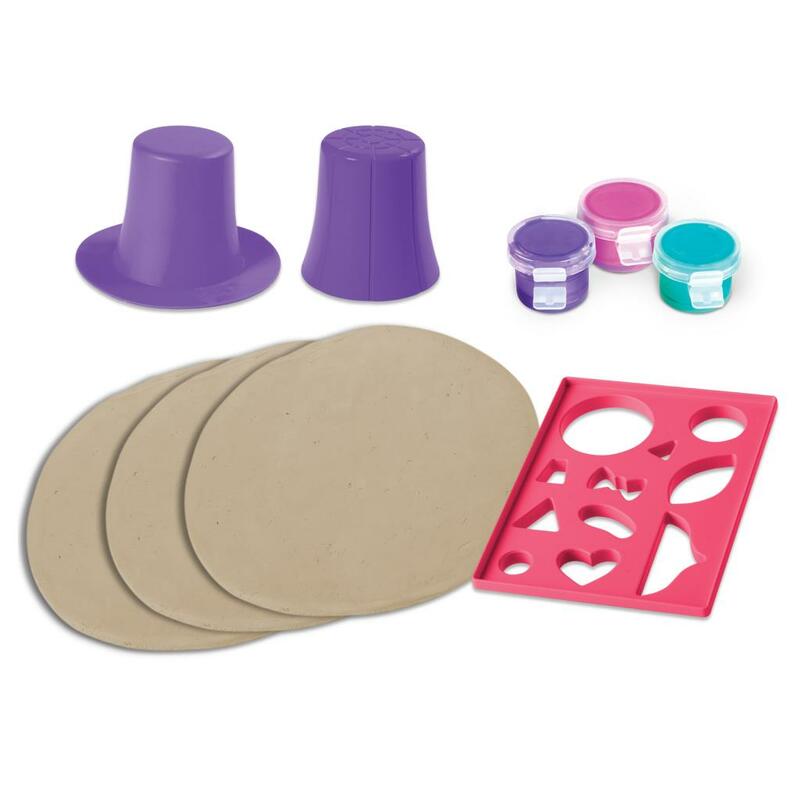 Shape the clay discs onto the pottery wheel, and let it spin while you mold your design. 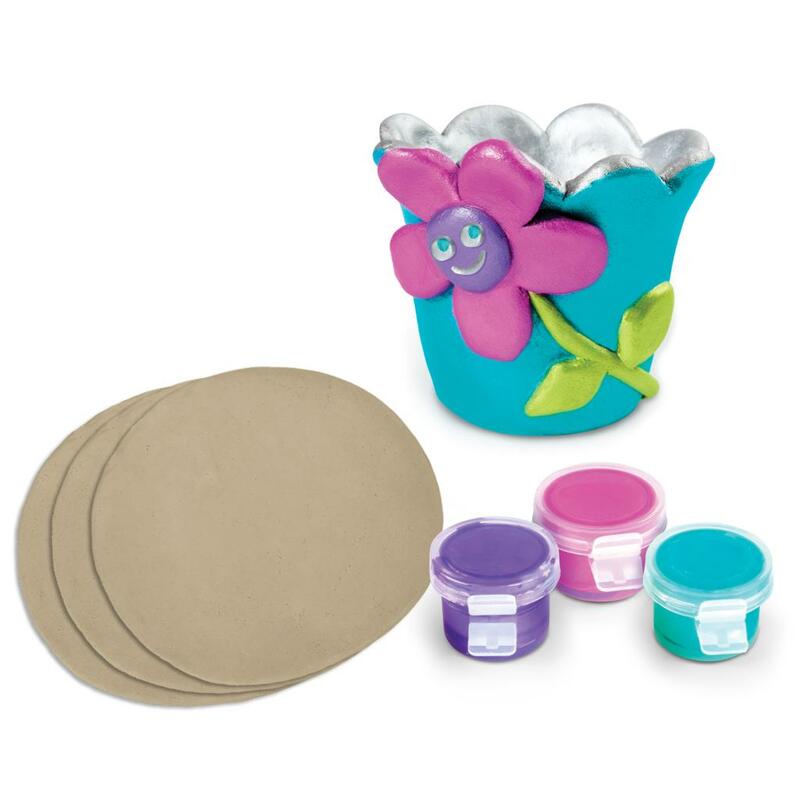 Let your clay design air dry, and then paint it with the included paint colors. 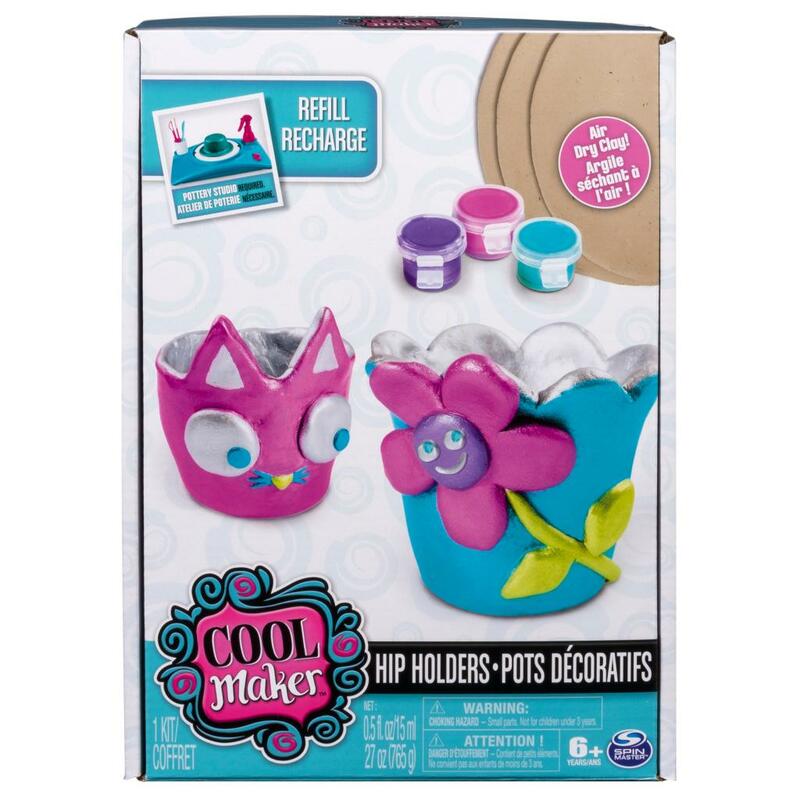 The Cool Maker Pottery Hip Holders set has everything you need to create unique, cool pots and holders for just about anything. Turn pottery upside down with Cool Maker! 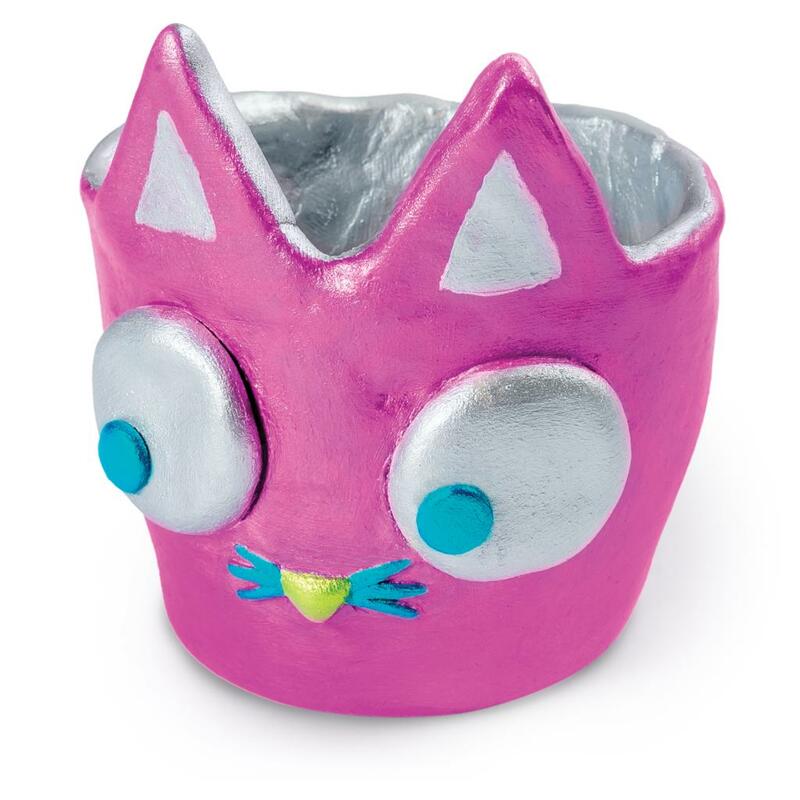 Cool Maker Pottery makes it easy to sculpt clay pots, bowls, creatures and so much more! Mold, shape, and sculpt the wet clay — then let it air dry before painting. Create hip pots and holders to store jewelry, plants, accessories, and more! Cool Maker Pottery is for ages 6+. 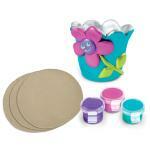 Pottery Studio, additional projects, and clay refills sold separately.